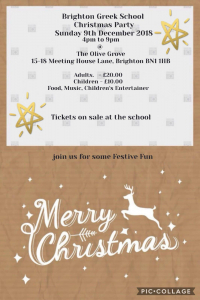 Join the Greek School of Brighton to celebrate Christmas. Ticket prices include food and entertainment. Games, music and festive fun for the whole family. For more details contact Aristea on 07534563652.